What kind of beard would H.P. Lovecraft's ultimate evil have? A tentacley one. 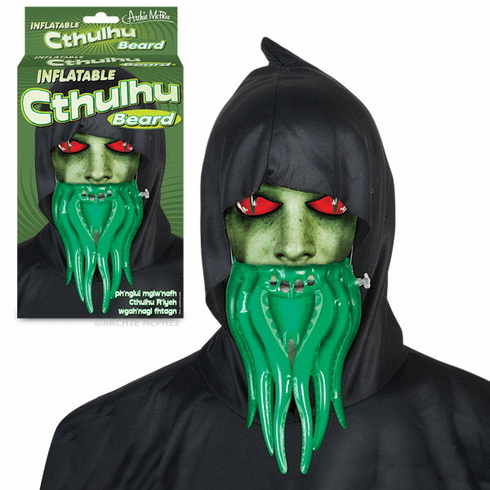 This inflatable tentacle beard will appeal to nerds and octopus lovers! This 9-1/2" (24.1 cm) long, vinyl mutated beard is held in place with elastic loops that go around your ears.